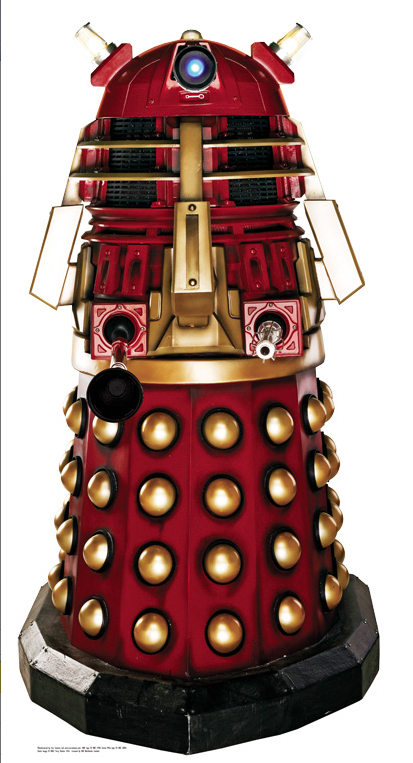 For those non-Whovians out there, a Dalek is an evil little alien living instead an armored machine and they roll around causing havoc for Doctor Who and his friends! They are kinda hilariously snarky, but lack most emotions. And they run around screaming "Exterminate!!" Hahah. 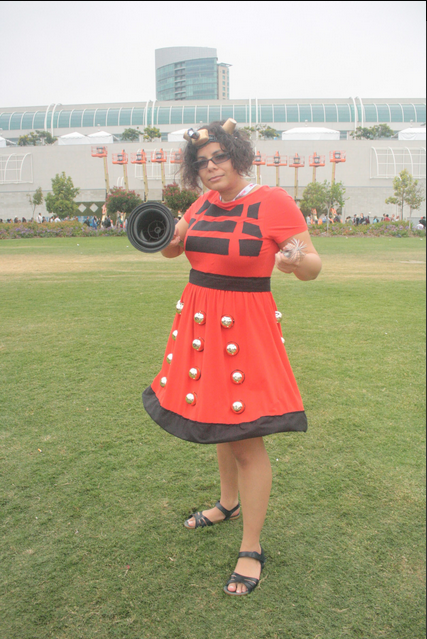 As you can see, Alyssa created a killer dress inspired by a Dalek! I helped her a bit with the sewing and she glued on a bunch of gold Easter eggs and other cool things to really make the best Dalek dress I've seen! Craftinate!! !